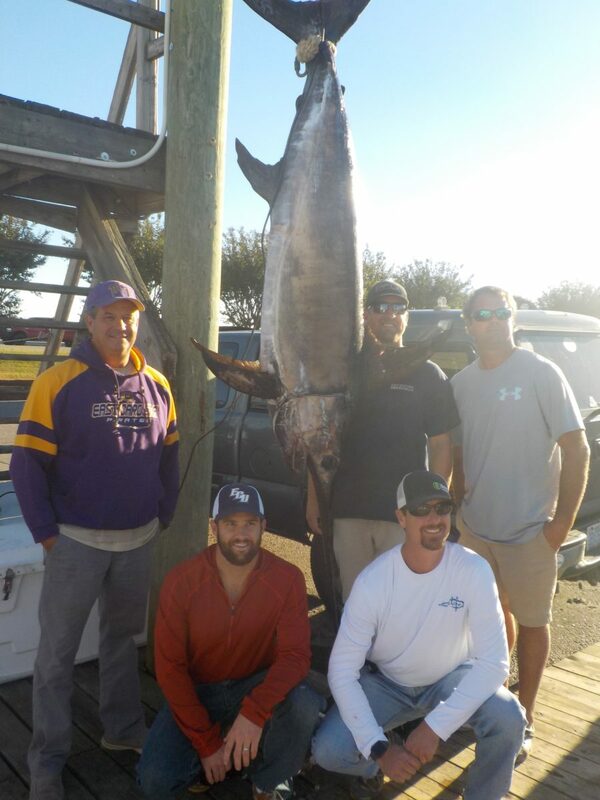 Fall Fishing has turned out to be quite the experience for our anglers! 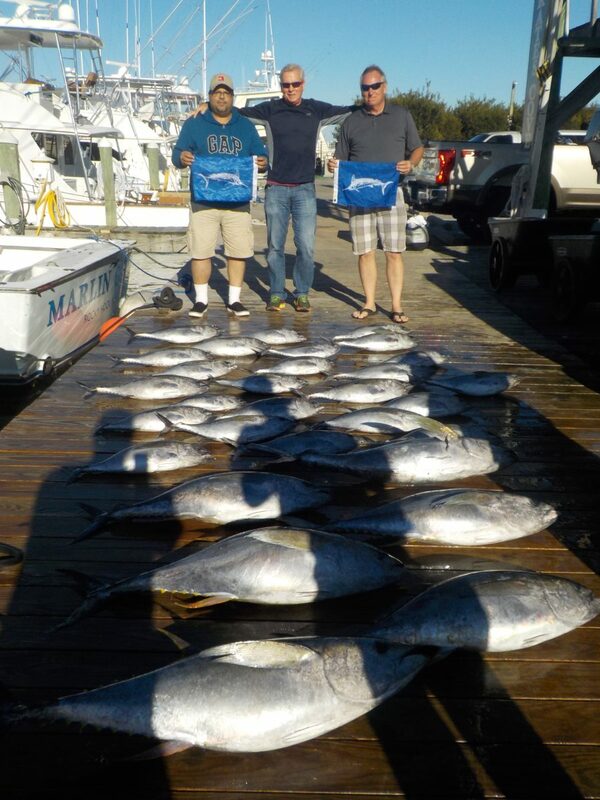 Crisp Mornings, Sunny Skies, and an excellent haul of fish to throw on the docks when they return! 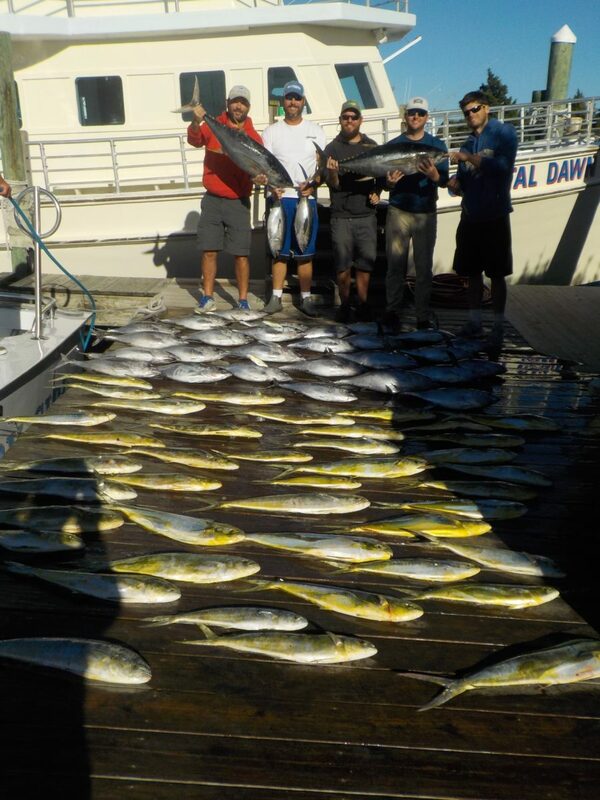 Tuna were everywhere – Blackfin, Yellowfin, and a 270 lb.citation Big Eye were all caught offshore today along with some good sized dolphin. What more could we ask for? Swordfish? 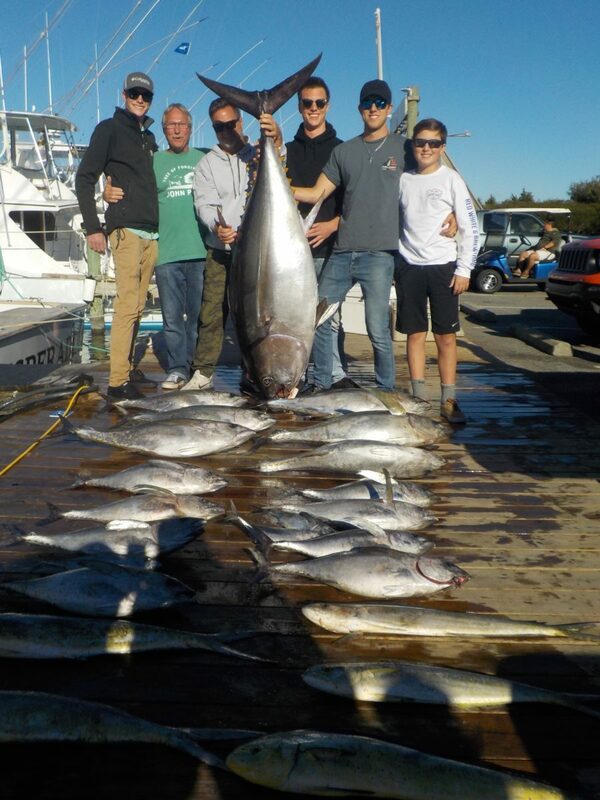 One of our private boats weighed a 216 lb. Swordfish, as well. Nearshore fishing also continues to bring in a good amount of Spanish Mackerel. And did I mention the weather was beautiful? You are missing out if you haven’t booked your trip this fall! It’s not too late to fill your freezer. The holidays are just around the corner – need something to brag to your family about at the Thanksgiving table? Call us at (252) 473-3906 or book online – we’d love to help you write your fish tale!